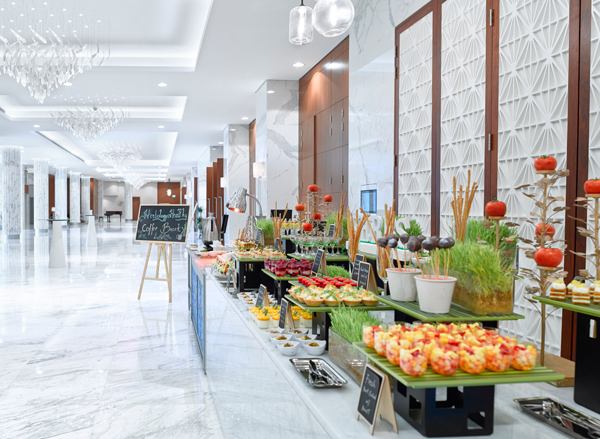 The Gulf Hotel’s hugely successful Gulf Convention Centre was the first major meetings venue in the Kingdom of Bahrain when it launched in May 1997. 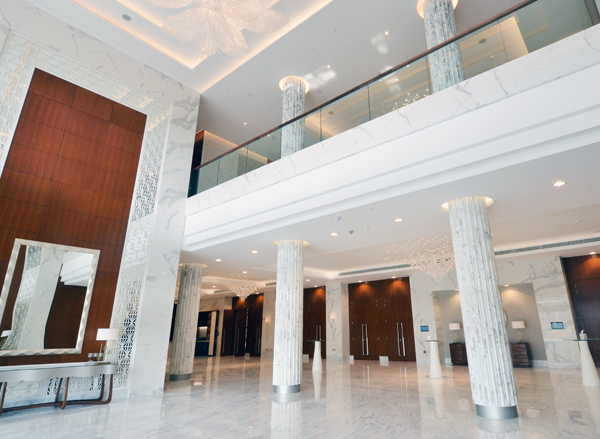 The centre remains at the forefront of Bahrain’s business scene today, superbly maintaining its status as the largest and most impressive meetings and events facility on the island. 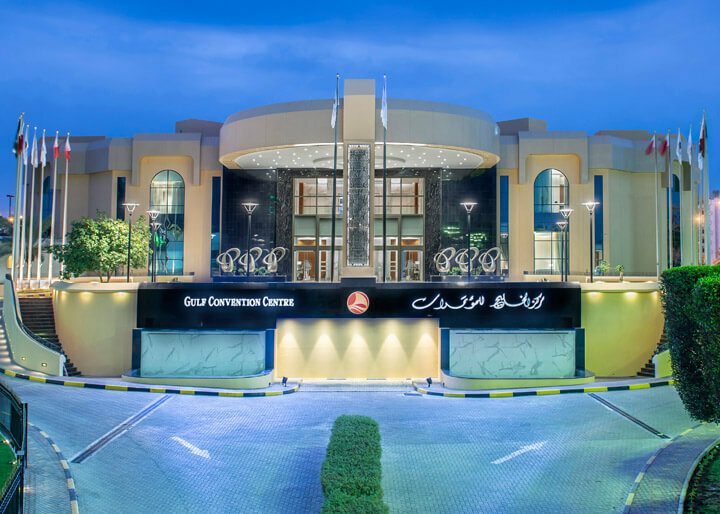 The Gulf Convention Centre’s crowning glory is its magnificent Al Dana Hall which presents the perfect venue for international seminars, exhibitions, gala dinners, banquets, weddings and award ceremonies. 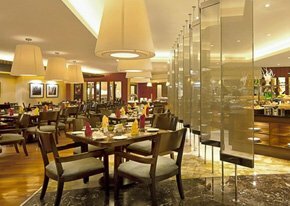 It comes equipped with a main ballroom floor area, stretching over 1,604 square meters that can accommodate up to 3,000 guests for cocktail receptions and 1,260 for an elegant banquet. 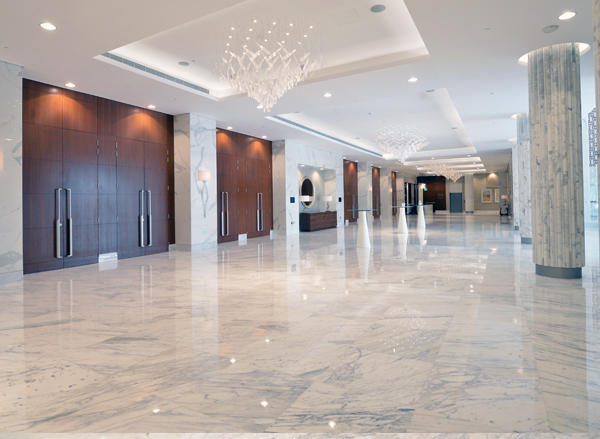 An additional Exhibition Hall can hold 75 booths and boasts direct drive-in access, a built-in stage, catwalk facilities, power supply units and light rigs, as well as the option to divide the hall into separate conference areas. 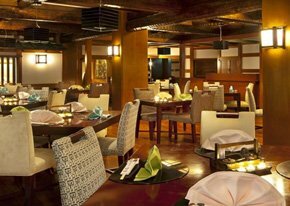 A further 5 individual meeting rooms can cater to smaller meetings, while the Gulf Hotel’s tropical gardens are a popular venue for weddings, parties and other outdoor occasions. 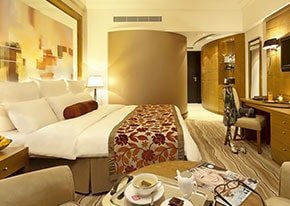 These areas are accompanied by a sophisticated business centre, a VIP lounge and a bridal suite. 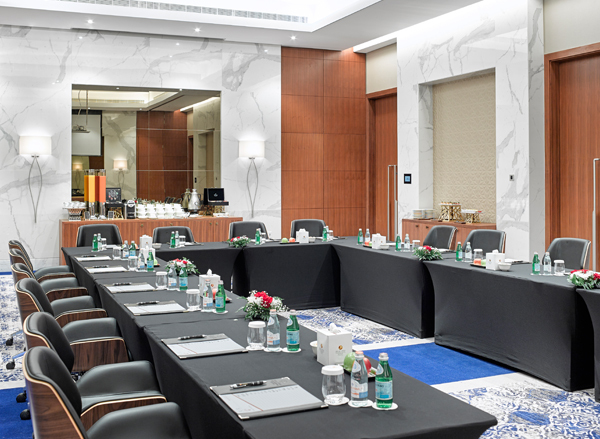 All conference rooms are fully equipped with the latest audiovisual equipment, including hi-tech projection systems, multiple power and telephone points, high-speed Internet access. 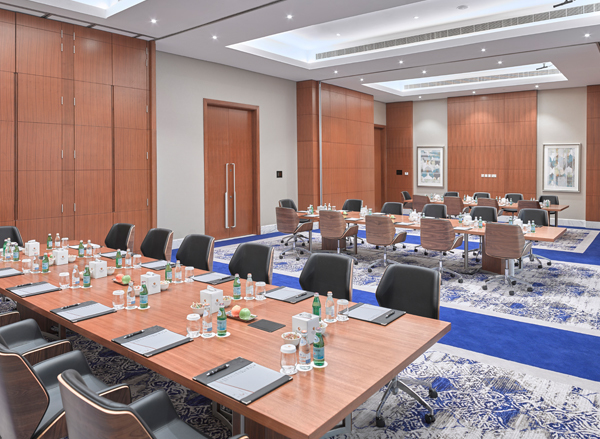 The Gulf Hotel has also recently introduced the Hawar Meeting Rooms, which are five brand new executive meeting rooms that have been designed to the highest specifications. 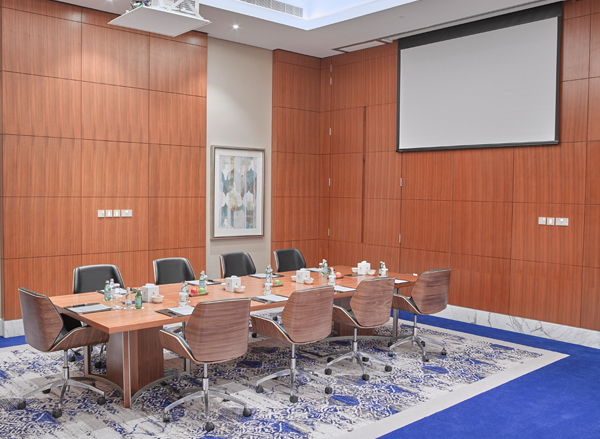 These new meeting rooms are situated on the first floor of The Gulf Hotel and can be accessed via a private lift. 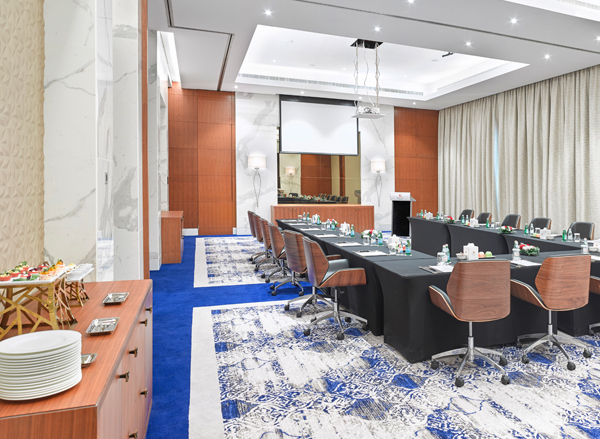 The Hawar Meeting Rooms also feature exquisite furnishings and breathtaking views, in addition to being equipped with the latest technology. 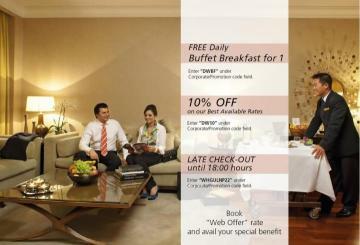 These excellent features provide clients with the opportunity to host exclusive meetings in a luxurious setting. 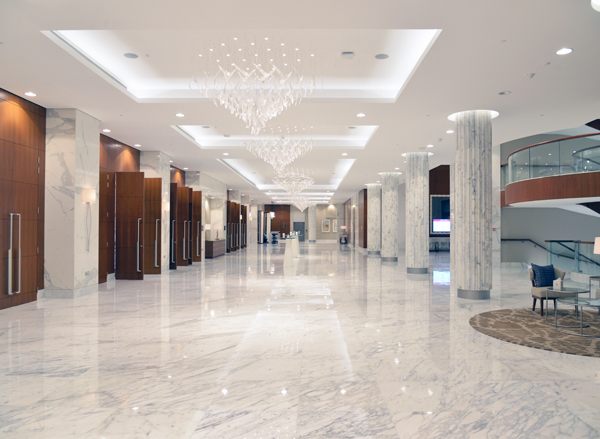 The Gulf Convention Centre, located in the Gulf Hotel complex, is the largest and most impressive meetings and events facility on the island. 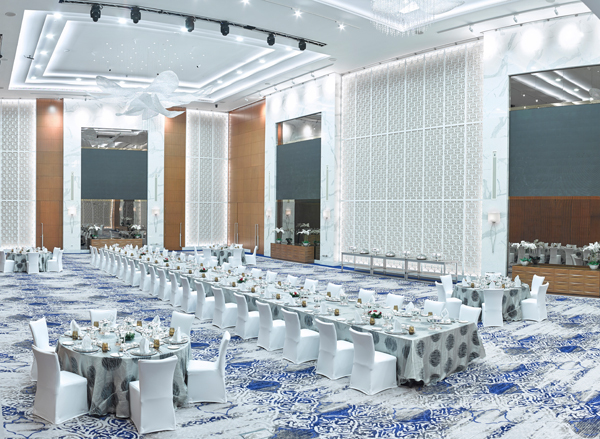 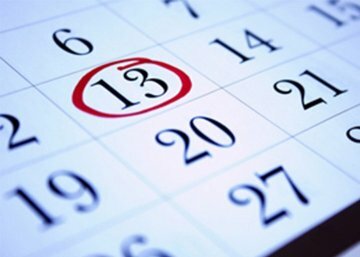 With its 29 venues, all equipped with state-of-the-art technologies, our Convention Center offers an extended range of options that can cater every event need: private parties, business meetings, conferences or exhibitions, from 2 to 3,000 guests, indoor or outdoor. 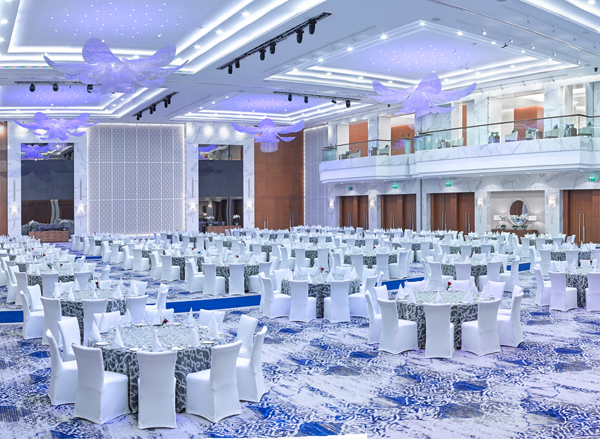 Combined with our high standard banqueting services and our events planning department, the Gulf Hotel Bahrain provides you with the best satisfying all-in-one meeting solutions..
An additional Exhibition Hall can hold 75 booths and boasts direct drive-in access, power supply units and light rigs, as well as the option to divide the hall into separate conference areas. 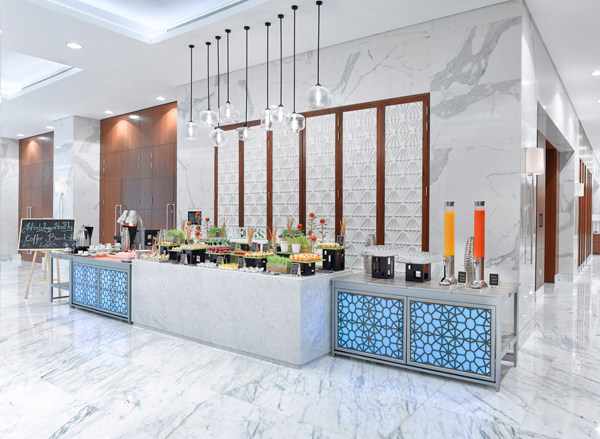 A further 5 individual meeting rooms can cater to smaller meetings, while the Gulf Hotel’s tropical gardens are a popular venue for weddings, parties and other outdoor occasions. 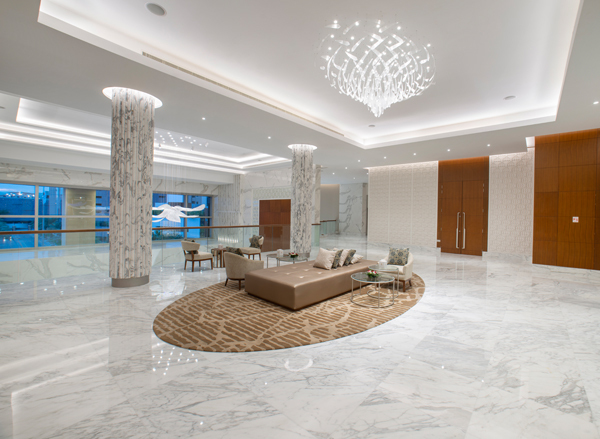 These areas are accompanied by a sophisticated business centre, a VIP lounge and a bridal suite. 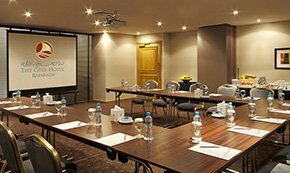 All conference rooms are fully equipped with the latest audiovisual equipment, including hi-tech projection systems, multiple power and telephone points, high-speed Internet access.